Pierre & Vacances Village Port du Crouesty in Arzon - the best offers! This price applies to 5-person apartment (max. 4 adults) Standard CRL25, with the arrival as 24 April 2019, 2 Nights. This price applies to 7-person apartment (max. 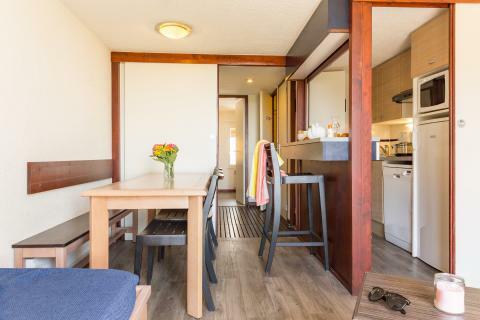 6 adults) Standard CRL27, with the arrival as 24 April 2019, 2 Nights. Residence Port du Crouesty offers a number of different facilities and activities to choose from such as two outdoor swimming pools, one of which is heated. The heated pool is open from open from April to early September while the unheated pool is open from mid-June to early September. For a more relaxing experience, there is a thalassotherapy wellness center which is directly accessible to all guests offering treatments such as hydrotherapy baths and underwater jets. For the sport enthusiasts the holiday park offers different sports such as golf and tennis. The holiday park caters for children’s needs with different facilities such as a water park which is spread throughout the residences with a paddling pool for toddlers included. Play areas are also located in the residence with activities such as table tennis to keep children entertained at all times. There are a number of restaurants located at the Port du Crouesty with different Mediterranean cuisines to choose from. 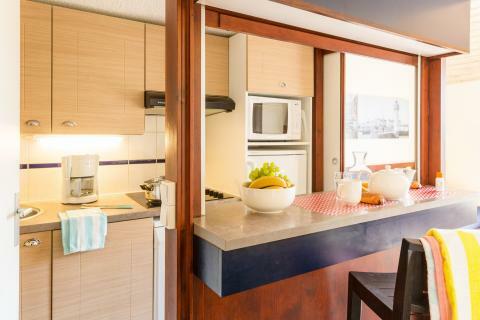 There is also a self-catering option as the kitchens are fully equipped in case you would rather cook at home. If you are looking for activities outside the residences then there is quite a number of things to do in Brittany. Located 300m away from the residence is a sailing school which we recommend for anyone interested in developing their sailing skills. For the golf lovers there is an 18 hole golf course located only 4km away from the residence. For a more historic preference, there is the Castle of Suscinio located 37km away in the medieval village of Vannes. The park charges a mandatory deposit of € 200 per accommodation.